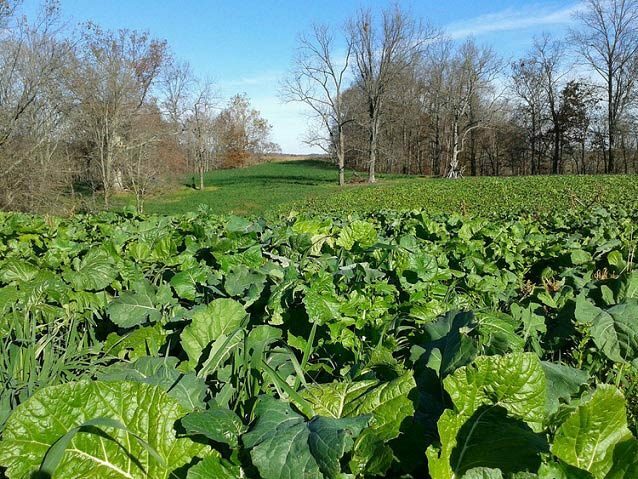 Brassicas & Cover Crop Seed | Kitchen Seed Company Inc. Kitchen Seed Company offers a wide array of small seeds sure to fit into any blueprint. Our products can help reduce compaction, reduce erosion from surface runoff, help suppress weeds, and possibly offer some grazing benefits. These different varieties are sold by the pound making it simple to narrow down seeding rates. For the customers benefit, we offer a few pre-mixed blends that may simplify the process. But, we also offer our products as stand-alone products or we have the ability to mix any specific blend the customer may want. Bulbless with 16 inch to 22 inch greens. Root is like a small carrot that is very fibrous. Firmly anchored for minimum wastage. Bred for fast, vigorous establishment and quick maturity (60-100 days). High leaf yield and improved regrowth potential over the Seven-Top Forage Turnip. At least 16% protein in foliage. Frost resistant. Sow 3 lbs per acre. For summer grazing, plant in spring as early as possible. For extended grazing, plant early to mid-summer. Apply 40 lb nitrogen after 1st grazing. Do not graze below 5 inches. Produces a 4 to 6 inch globe turnip with a bright purple crown and white base. Turnip has a sweet flavor. Semi-erect prolific greens provide good forage. 50 day maturity. Sow 3 lbs per acre, April to October.